Out of all the national parks, there are a few which are the rockstars of the bunch. Yellowstone blew us away with it's otherworldly landscapes. Both eerie and majestically beautiful, it's a place you must visit at least once in your lifetime. This spring we drove another jaw dropping route which took us through Banff, Yoho and Glacier National Parks in the Canadian Rockies. The glacier topped mountains go on for hours until you almost forget what the prairies look like. Even when you return to the flat lands, you can imagine banks of clouds are just those very same mountains in the distance. 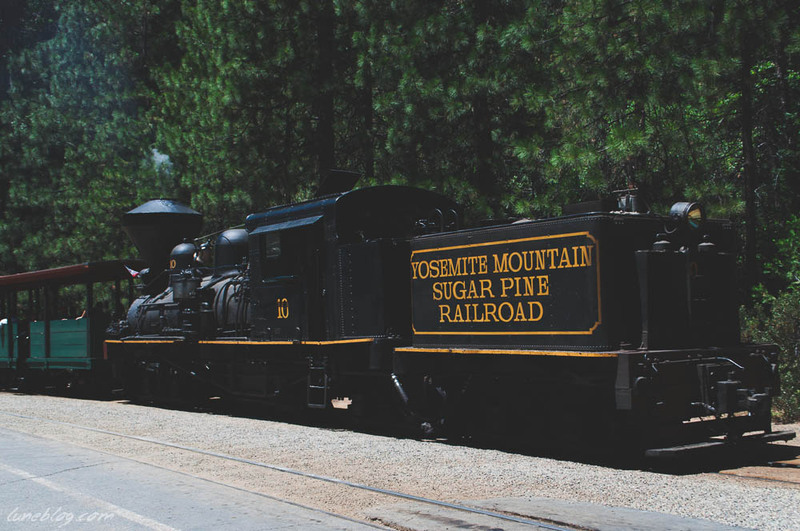 The route toward the park entrance from our Glamping Hub cabin in North Fork took us right past the Yosemite Sugar Pine Railroad. 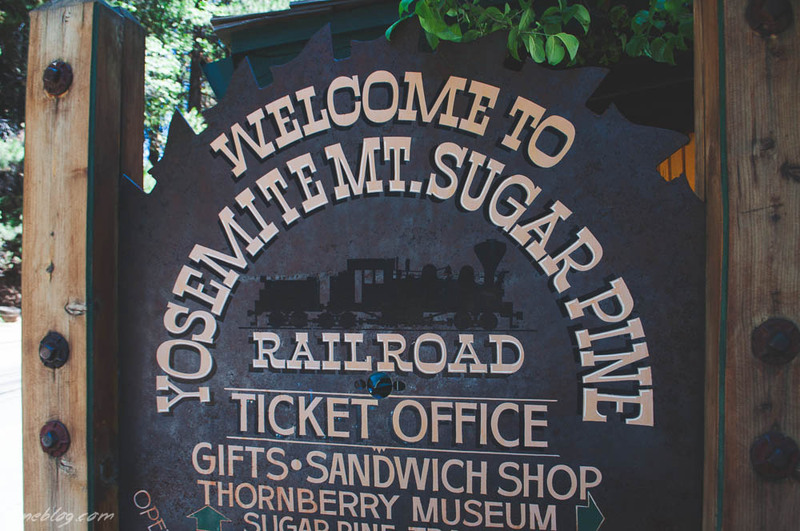 It's a cute little stop that's great for families and of course, train lovers. 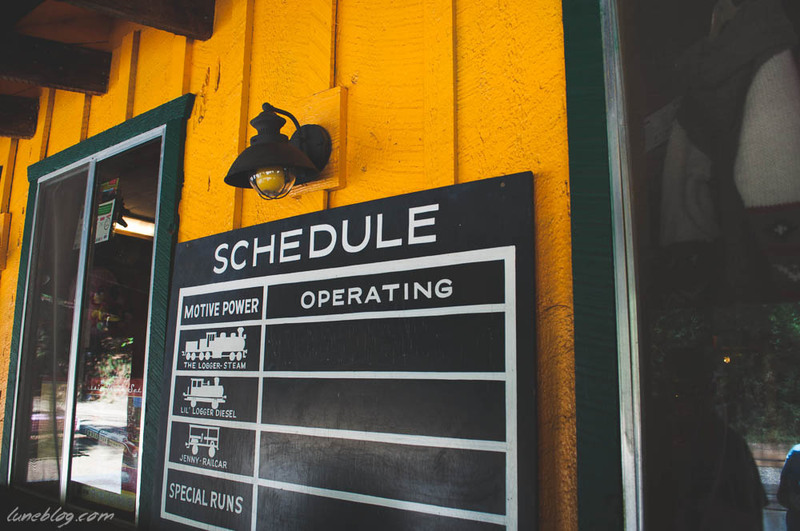 You can choose to ride the open car steam train, take a lesson in panning for gold, browse the old cabins set up as museums or just get a great milkshake. I'm so glad we took the time to check it out. By the time we arrived the sun was already beginning to bake the landscape. As you can see, the falls here reflect the drought which California was experiencing in 2015. 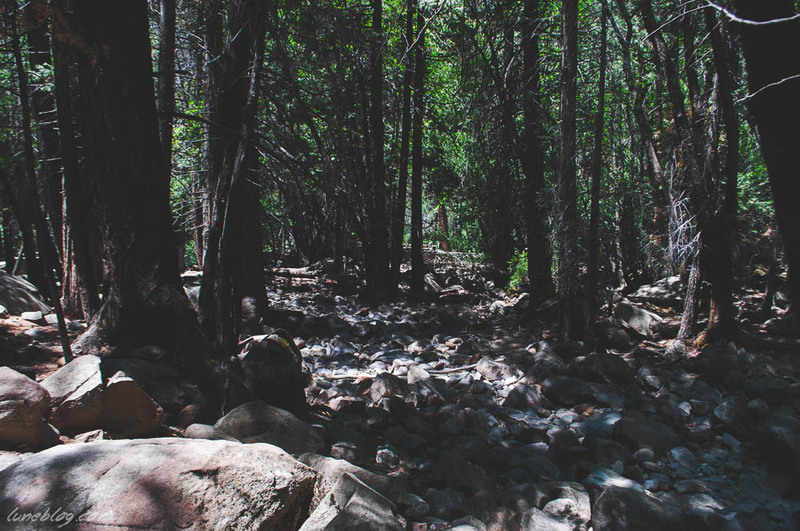 By mid July, the trees were starting to brown, the riverbeds were bone dry, and it was simply sweltering. InYosemite Valley we pulled over to admire the face of El Capitan, 3,000 ft. tall. As you might imagine, the park was pretty crowded at this time of year. The route into the valley leads you to an area of lots where visitors are able to shuttle to different parts of the park. It was uncomfortably hot by now, and the kids (and adults) were already feeling a bit overwhelmed. Our usual pace of stopping when we want to and taking our time and space wasn't an option here. No one loves crowds, so I saw a lot of other strained faces trudging past. None of us were thrilled by the prospect of waiting in a long line to get onto one of the busses for a tour that would have us stuck in a seat for who knows how long. Asking the kids to sit more would have been nothing but self inflicted torture. What a shame it is to be in such a majestic place and feel as though all you really want to do is to leave. All the space in the world, and somehow we felt totally claustrophobic. We couldn't help thinking back to Yellowstone, which spoiled us with it's drivable nature, cooler temperatures, lushness, wildlife and diversity of things to see and do. I don't think it's a fair comparison, but in all honesty that's how we felt at the time. Have you visited Yosemite? What was your experience, and do you have any suggestions on how to get the most of your visit there?